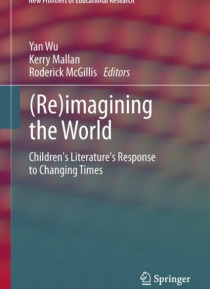 (Re)Imagining the world: Children's Literature's Response to Changing Times considers how writers of fiction for children imagine 'the world', not one universal world, but different worlds: imaginary, strange, familiar, even monstrous worlds. The chapters in this collection discuss how fiction for children engages with some of the changes brought about by new technologies, information literacy, co… nsumerism, migration, politics, different family structures, cosmopolitanism, new and old monsters. They also invite us to think about how memory shapes our understanding of the past, and how fiction engages our emotions, our capacity to empathise, and our desire to discover, and what the future may hold. The contributors bring different perspectives from education, postcolonial studies, literary criticism, cultural studies, childhood studies, postmodernism, and the social sciences. With a wide coverage of texts from different countries, and scholarly and lively discussions, this collection is itself a testament to the power of the human imagination and the significance of children's literature in the education of young people.